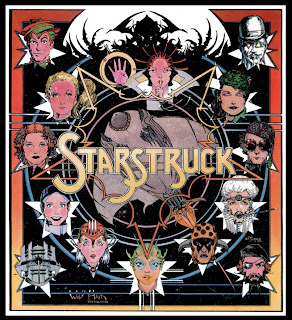 Hot on the heels of IDW’s successful re-launch, Elaine Lee and Michael Kaluta’s science fiction classic comes to the world of audio theatre as the AudioComics Company announces its debut production: Starstruck. The audio adaptation of the original off-Broadway production, adapted for the medium of audio by co-creator Elaine Lee, and directed by AudioComics co-founder William Dufris, will record at The Studio in Portland, ME May 7 – 9 for a fall release on compact disc and pay-per-MP3 download, and for airings on selected radio stations in the United States. I guess it was always going to be one of those gigs where you had to be there, but it was only going to be good if you liked the bands on stage. Twenty five years ago both Tears For Fears and Spandau Ballet toured the country and played to packed houses. Since then a lot of their English based contemporaries have fallen to the wayside, the notable exceptions being, of course, U2 and, to a lesser extent, Duran Duran and Depeche Mode. U2 appear to be one of the few bands that survived the 1980s fully intact (that being no line up changes, split and reformation), and both TFF and Spandau suffered the fate of the rest, they split up and dissolved. If you don’t believe then simply look at a list of who played Live Aid in 1985 and tell me which acts are still around, and potent. Not many at all.